The Chicago Bar Association’s Alliance for Women will honor Partner Julianne M. Hartzell at its annual awards luncheon on May 15, 2012. Ms. Hartzell will receive the “Alta May Hulett Award,” named for the first woman lawyer in Illinois. The award is presented annually to a recipient who has significantly contributed to the advancement of women in the legal profession, and whose career exemplifies the highest level of professional achievement, ethics, and excellence. 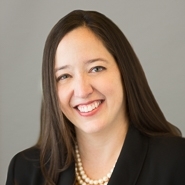 Julianne M. Hartzell focuses on intellectual property litigation. She represents both inventors and corporations in patent, trademark, copyright, and trade secret litigation in district courts throughout the country, before the Federal Circuit Court of Appeals and the Trademark Trial and Appeal Board.